The Track in Destin is your family headquarters for fun! The action-packed recreation center features the ultimate in go-kart tracks, miniature golf, bumper boats, a bungee jumping tower and an arcade. Kids Country for the younger set features a train ride, carousel, Ferris wheel and much more. The world’s largest Naval Aviation museum and one of the most-visited in Florida. Share the excitement of Naval Aviation’s rich history and see more than 150 beautifully restored aircraft. These historic aircraft are displayed inside our exhibit space and on our 37-acre grounds. There’s so much to see and do, you’ll want to spend all day. Admission is FREE. 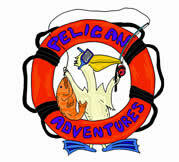 Open Daily 9 a.m. to 5 p.m.
Parasailing is what adventure does on vacation. Fun and relaxing, spine - tingling but safe, it’s a little bit of excitement and a little bit of relaxation with an amazing cool dip at the end. Want to take a ride? Our boat - the Flyin' High and all equipment is maintained to the highest standards and operated by a USCG licensed captain to provide an exciting and safe experience.